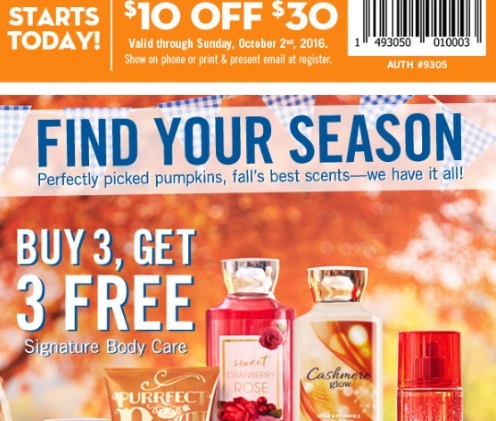 Bath & Body Works has brought back their $10 off $30 coupon! Save $10 off when you spend $30 or more on anything in the store. Show the coupon on your mobile device or print it out to show the cashier. Offer is valid through Sunday, October 2 2016.